Miami International Airport is situated in an unincorporated area in Miami-Dade County, Florida. Operated by the Miami-Dade Aviation Department, Miami International Airport is the main airport for long-haul international flights. It boasts a line-up of over 100 air carriers. Miami International Airport welcomes 70% of all international visitors to Florida. Miami International Airport (IATA code: MIA) is the primary airport area in Miami and the hub airport of American Airlines. Flights to Miami International Airport are provided by Turkish Airlines, Etihad Airways and South African Airways. MIA is a 15-minute drive from the city centre of Miami. Book your cheap flights to and from Miami International Airport online! Miami International Airport is historically known as Wilcox Field, and is the primary airport serving the Miami Area. Miami International Airport is the largest gateway between the United States and south to Latin America. It is the busiest airport in the South of Florida, with 44.9 million passengers travelling through the airport in the year, 2016. 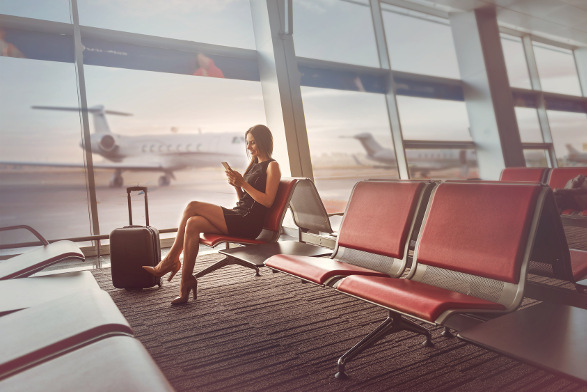 The airport aims to grow from a reputable hemispheric hub to a global airport of choice, offering a world-class experience to all pass through its doors. There is a plethora of shops at Miami International Airport, so it is easy to get caught up in all that there is to offer! Take advantage of the duty-free shopping. Amazing shops to be found in the airport’s terminals include books, last-minute essentials, lottery, electronics, perfume, luggage, jewellery and lingerie shops. Miami International Airport caters to all taste bud pleasures. Discover sensational cuisine at cafés, franchise stores, restaurants, tequila and rum bars, ice-cream stores and juice bars. The Miami International Airport domestic departures terminal has premier lounges for travellers in American Airlines, British Airways and Iberia. Miami International Airport has world class facilities, including banking, a yoga room, nursing suites, pet relief areas, a chapel and an auditorium. Conveniently located near South Beach, Clarion Inn & Suites Miami Airport hotel is a 10-minute drive from Miami International Airport. Amenities include free Wi-Fi, free breakfast and free airport shuttles. Miami International Airport Hotel provides the necessary convenience for all travellers. It is located inside the airport terminal, on concourse E, at the Departures level. Amenities include complimentary Wi-Fi, banquet and meeting facilities, and room service. Located within the entertainment hub of Miami, Hyatt Place Miami Airport East offers everything you could need in a south Florida hotel. It is an 8-minute drive from Miami Airport. Amenities include a swimming pool, a meeting room, free airport shuttle service, and free Wi-Fi. Foreign exchange can usually be purchased 60 days in advance. The Dolphin and Flamingo Garage are located at Miami International Airport. Valet parking is also available for your convenience. Enquire online about the parking options tailored for your travelling needs. Miami International Airport is located 13 km northwest of Downtown Miami. Car rentals, metered taxis airport shuttles and public transportation options are available to transport you from the airport to your destination.